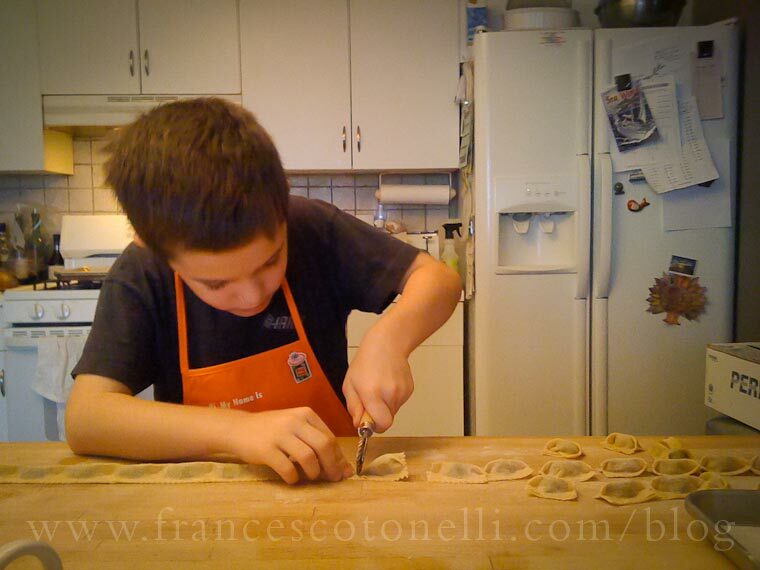 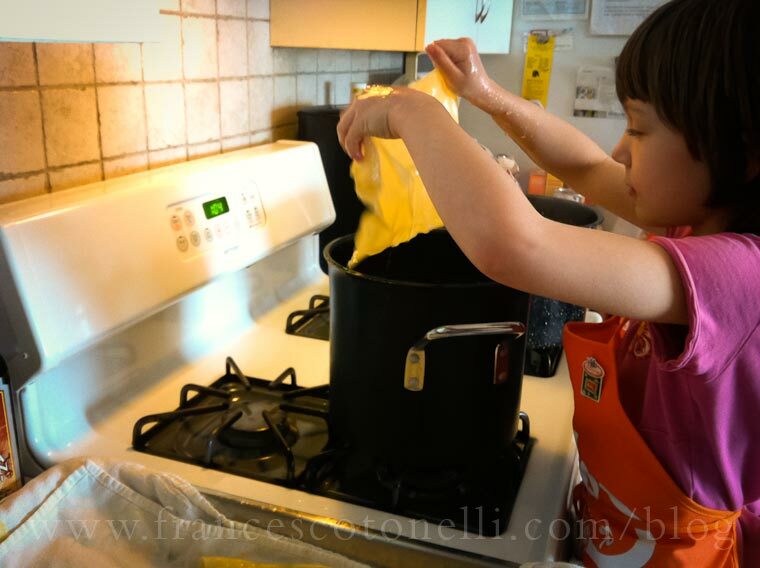 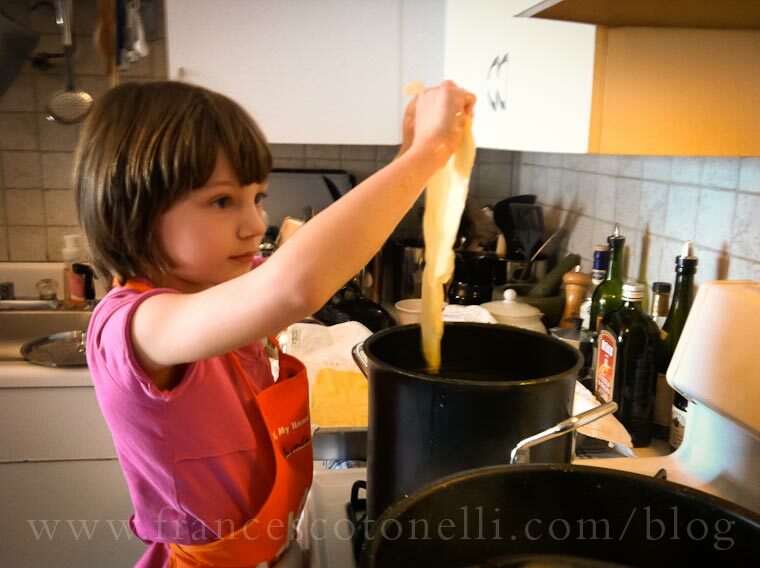 Weekends call for delicious, home cooking, sometimes with the involvement of even the smallest hands in the Tonelli household. 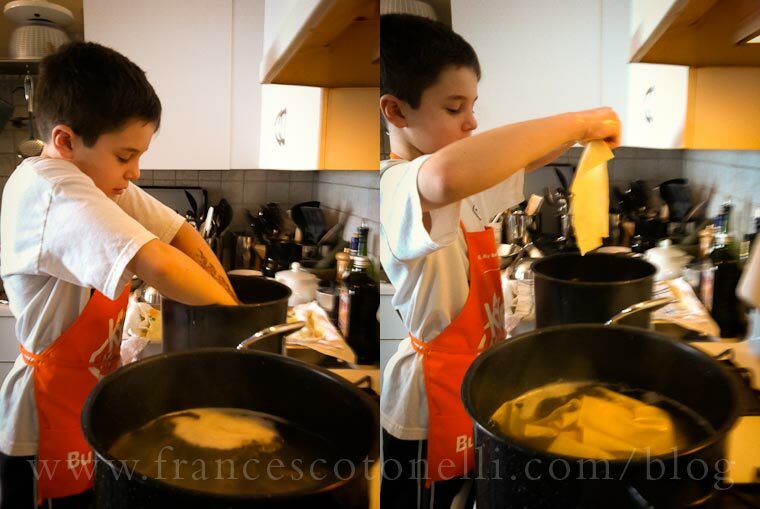 The kitchen resembles an elementary school arts and crafts class, even though real-time cooking with Dad is a lot more fun. 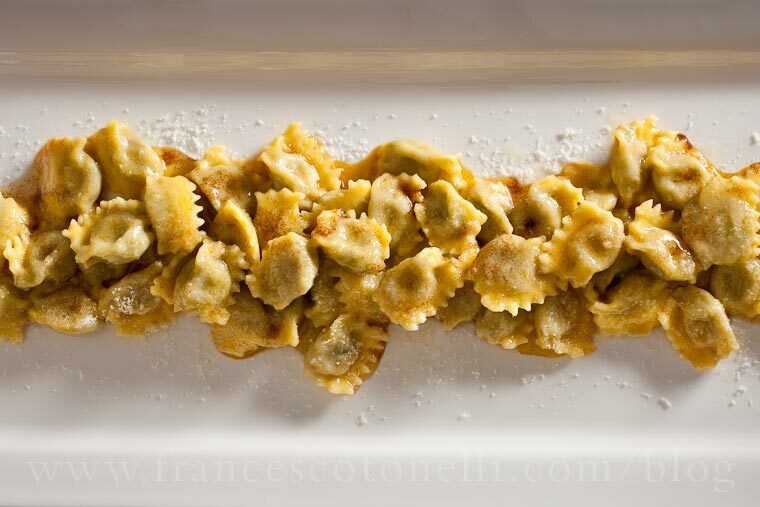 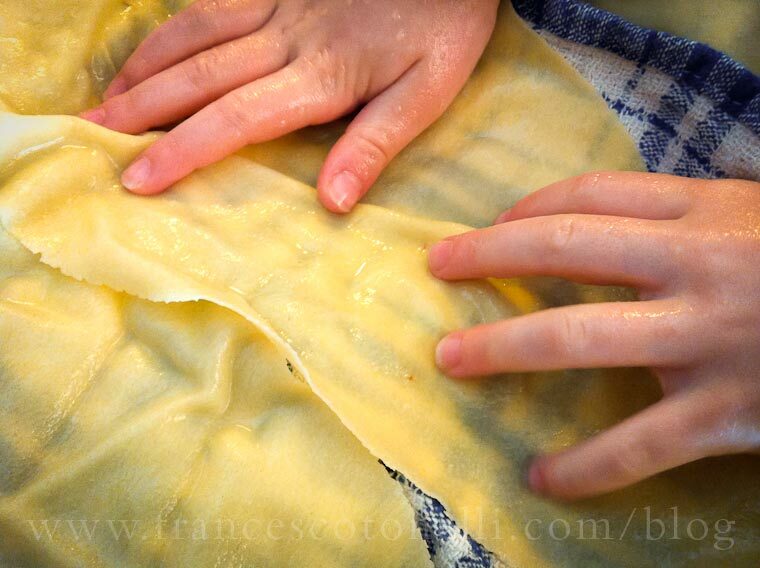 Tiny fingers pinch flour and eggs in an enormous well, then knead and roll the dough for Agnolotti – an art not unlike mastering Play-Doh when you are 7- or 9-years old. 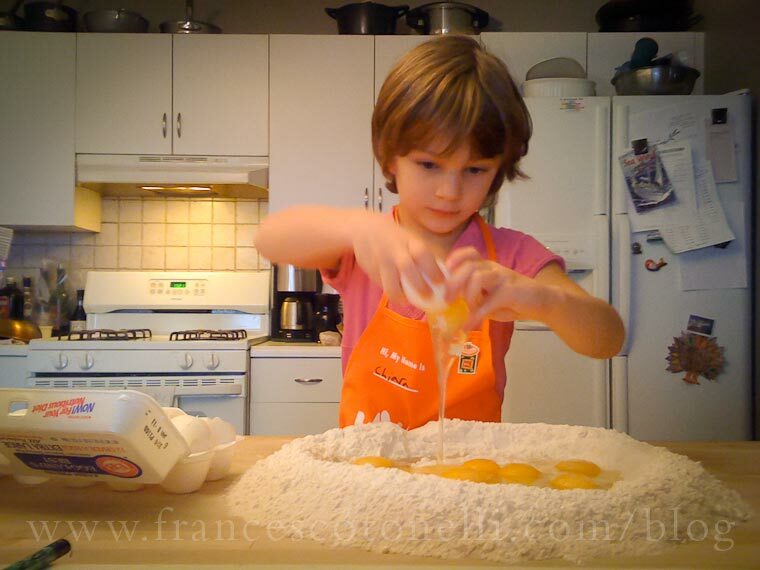 Pliable and brilliant in color the dough and filling are fun, just like art class, but much tastier to eat. 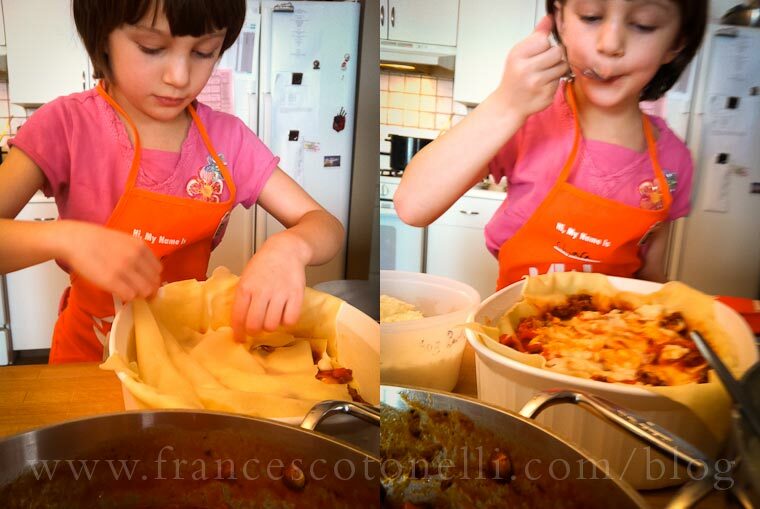 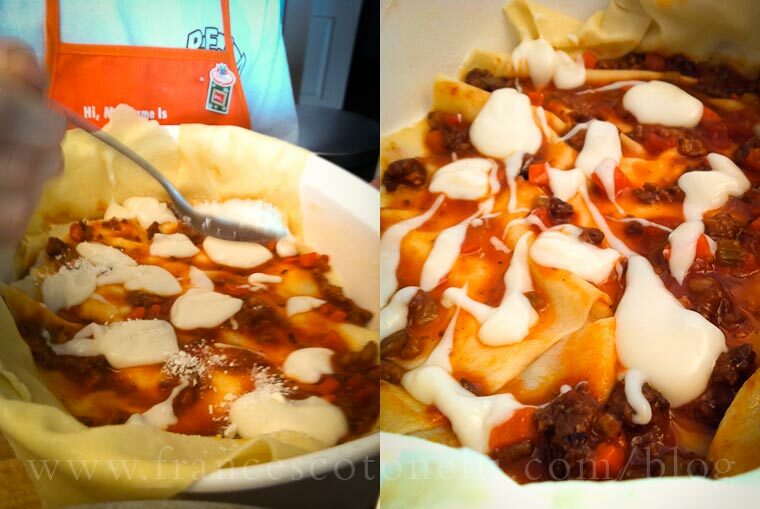 Next, picture perfect pasta sheets get layered into handmade lasagnas or spotted with seasoned braised meat and spinach filling before folding, cooking and finishing to enjoy around the table together - the way a perfect Sunday dinner should be.